It is completely paper-based. 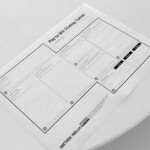 Intended to be used with a pile of post-its, it facilitates the development of ideas. Software-based tools are great for collaboration and communication. However, some tasks simply require a team to come together and work on something tangible. It encourages you to start with your existing strategy and to move on from there. In most situations, business strategies need an evolution, not a revolution. It does not use the somewhat overworked process of internal and external analysis – SWOT – strategic options – strategic choice. Thus, it avoids the analysis-paralysis and focuses the team on the really relevant questions. 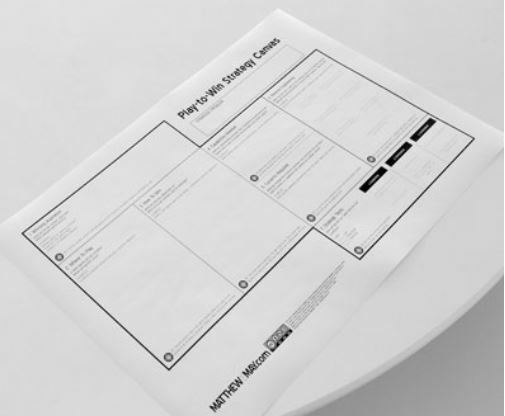 For more information, here is Matthew E. May’s introduction of the Play-to-Win Strategy Canvas, which comes with some recommendations for using the canvas.